IDM is not just an equipment supplier.....we are a quality provider! 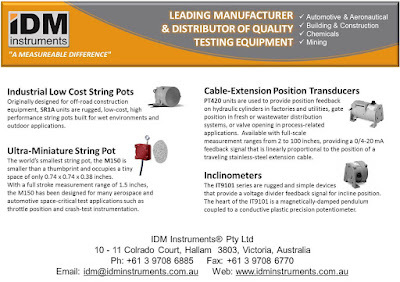 IDM Instruments Pty Ltd offers comprehensive, independent in-house testing services for various industries. Our team of expert technicians are equipped with state-of-the-art testing instruments to ensure customers are provided reliable, accurate and prompt testing results. Rental of some equipment is also available to domestic customers. Contact IDM to discuss your specific applications or to request a quotation.